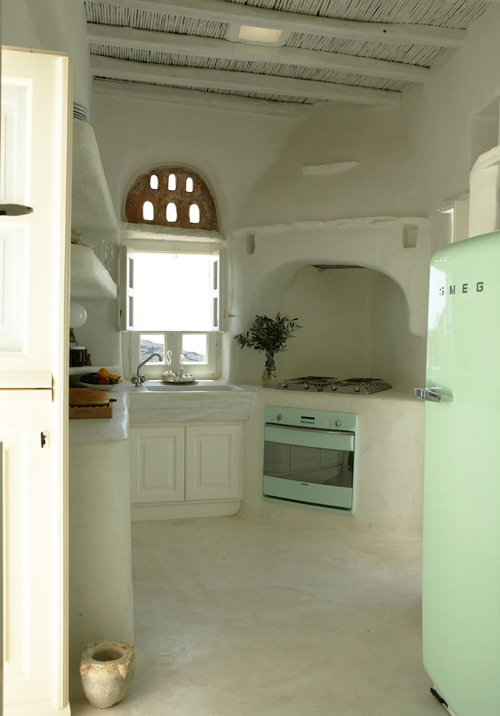 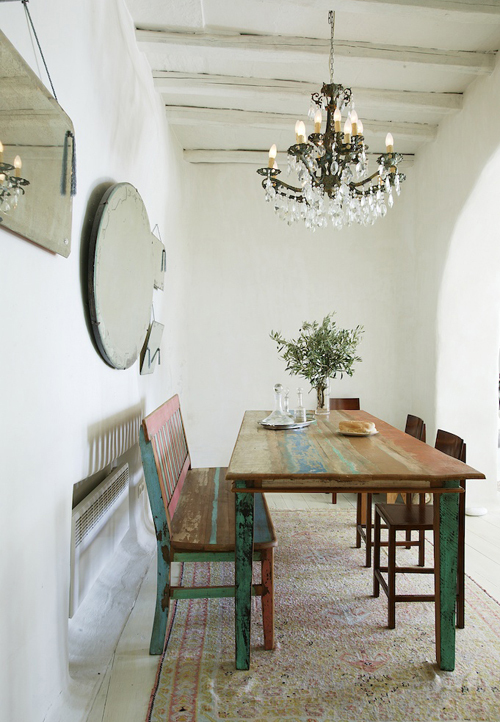 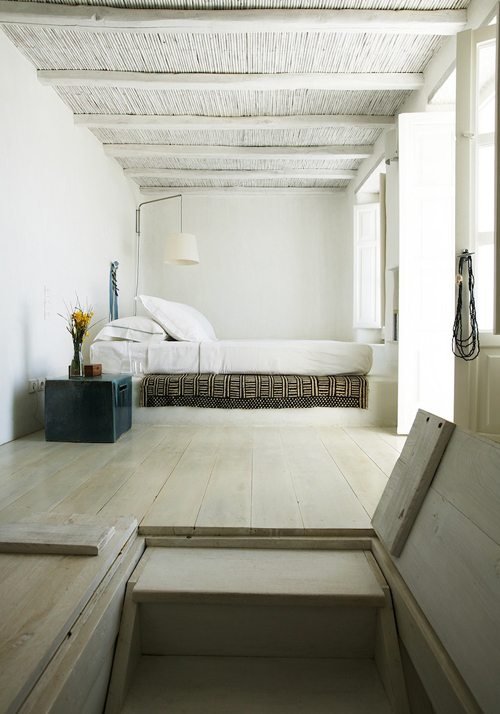 I found this swoon-worthy status home of Greek interior designer Marilyn Katsaris over on The Style Files. 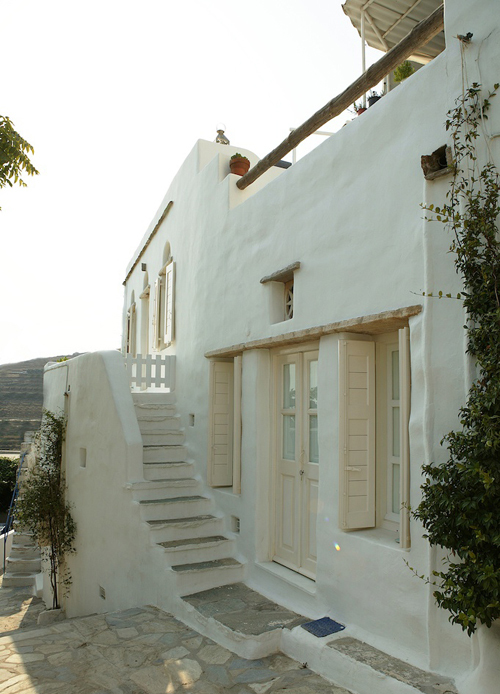 An island vacation home designed by Greek Zege Architects located on Tinos, it is actually made up of two separate houses that have been impeccably joined together to form one perfect paradise retreat. 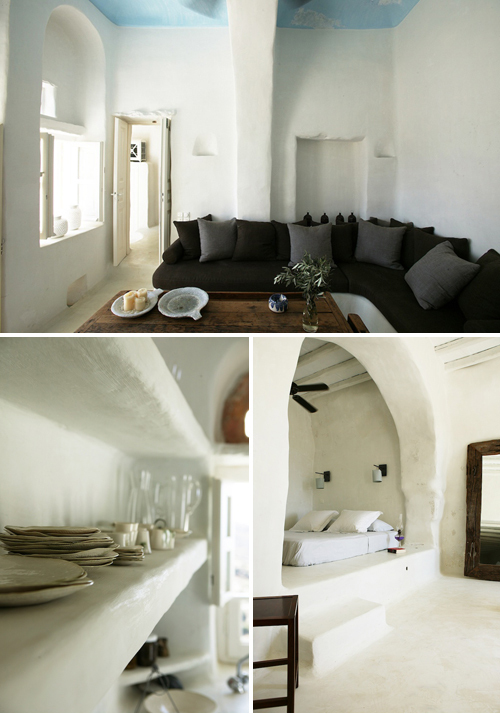 The simple and clean spaces throughout the home is beautifully done - the architecture and historical details tell the story, and the decor accents it beautifully. 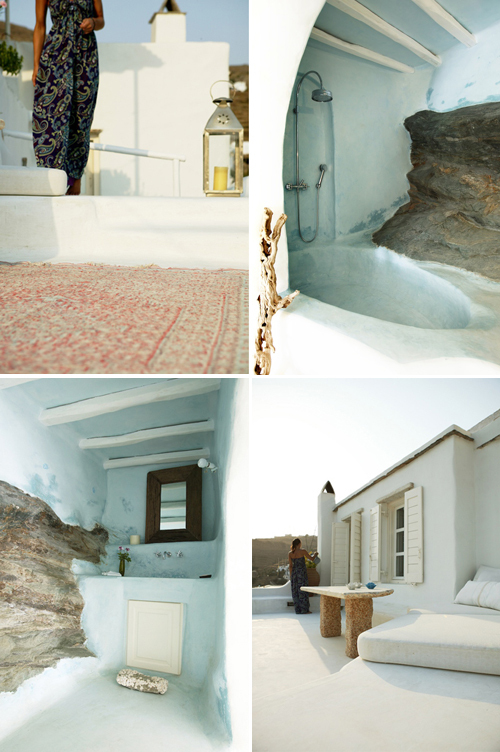 I love the color palette of this home - natural, and inspired by the views from the home. 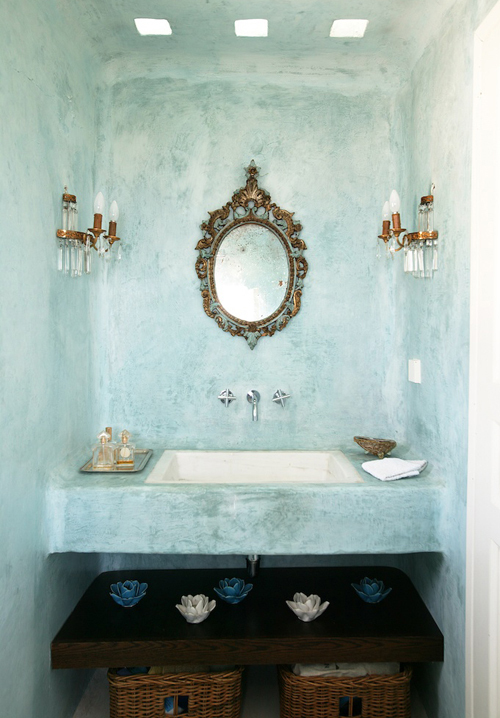 That blue in the bathroom is gorgeous - and that rock formation that looks to be breaking into the wall is a clever way of bringing outside inside.